-MIAA Champion in the 1600m and 3200m. -MIAA Champion in the Long Jump. -2nd Place in the 55m Dash with time of 6.57, moving him up to 2nd on Loyola's all-time list trailing only John Davenport '09. -3rd Place in the 3200m. -5th Place in the 1600m. -4th Place in the 1600m. -6th Place in the Long Jump. -MIAA JV Champion in the 800m. Additionally, seniors Camden Gilmore, Ronan Sullivan, and Connor Verrett all ran season best times in the mile run. 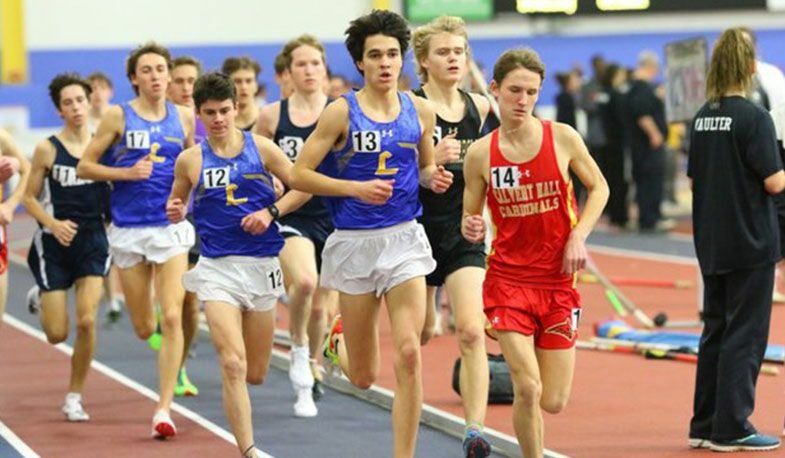 This combined with Kyle Clarke’s mile time from another meet qualified them for the 4 x 1 Mile Relay Championship at the New Balance Indoor Nationals in March at the New Balance Track and Field Center in New York City. "Camden, Ronan, Connor, and Kyle are good friends who have trained together for four years and set qualifying for this meet as a goal for their senior year," said Coach Cucuzzella. On Sunday, the team received verification that they officially qualified for the meet.